There you go. I have other versions too, as mine was one of the cameras used. If anyone wants them, message me and I'll WeTransfer them. Hope you saw the larger group photo at the end of page 41 as well as this one? Yep, got em both ta. Lowrez - I'm not bothered about colours, I just like to show off Do you not wear yours? PS the two piccies above are pretty good def as they are from my perspective if you just click on them to get the original size (I assume) right click and save-as. Debra is working on putting up a share link anyways for the others after I PMd her yesterday. Nice pictures. Will have to see if i can make it there this year!!! Debra - hope you feeling better and cough is on the mend. Lowrez - thats very generous of you. I'd be delighted to accept. So today I wore my 2017 Comrades top. A few minutes into the race I'm listening to 2 women next to me. One talking of the 11 miles she ran yesterday. Well I know I did 12 on Friday but theres not many people that run 11 days the day before a half so I turned to look where the vaguely familiar voice was coming from and lo and behold it was Camilla who has done several Comrades. I'm sure someone here will know her or her mum. So we had a good chat. Saw her mum at the end and several other people who either knew of Comrades or had done it. Mr SS got a pb and I finished off a 50 mile week with something a little bit speedier than anything I've done all year! Is that Camilla... she ran Chester too and waved as she cruised by. Hope Becca enjoyed her love hearts! The Love Hearts were much appreciated. I had a good run just getting a bit tired towards the end and the pace is still fairly slow but this was good progress as 10 minute mile average and I couldn’t even hit that pace not so long back. The couch stretches seem to be working. Way back during my first Comrades Camilla’s mum Jacquie used to post on here so that’s how I first new them. Both fantastic runners and Camilla must have a great chance of a Bill Rowan medal this year. Well done to Mr SS. Southern Snail, I'm afraid I don't use WhatsApp - I need an email address! Or if someone else does use it then they could forward? Managed a slow marathon at the Heroes vs Villains 6-hr challenge at Betteshanger. The ribcage/intercostals hurt (particularly the last three laps, after a crumb went the wrong way and set off a coughing paroxysm) but I did manage to run (gently/slowly) more than I walked. And my Robin Hood/Green Arrow costume went down well, especially because it included a real longbow, which I carried for the first lap. I could have gone out for another lap but decided to be sensible and stop. I can whatsup SS if you e-mail me Debra, just be aware that e-mails in excess of 10MB get eaten by Internet monsters and never make it through so a file share might be better if you PM me and SS that. A tot o mead would have seen you out of your paroxysm and into a paraletyxysm. 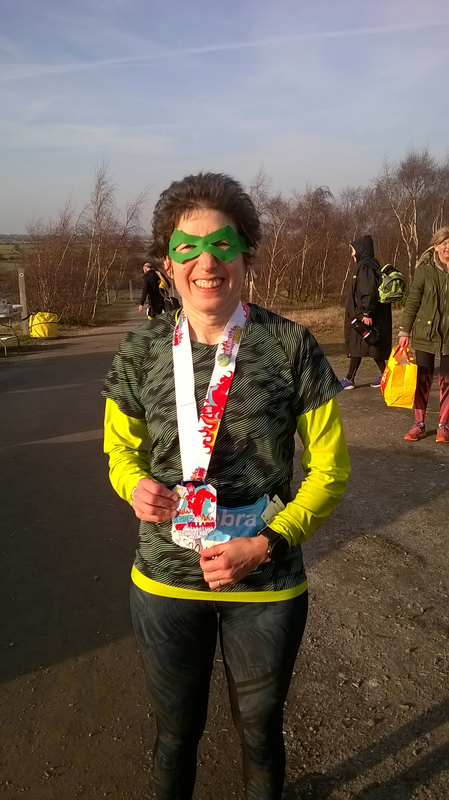 We are truly in ultra land when we can say a marathon was a doddle but I couldn't be arsed with more Well done with the costume Mrs lowrez really enjoyed Green Arrow until about season 3 episode 4 when she said Monty Python style; "Right! That's enough! This has just gone too damned silly now. That's the end of it! I'm not watching any more!" Well done dragging your sore bones around a marathon today! lowrez, I've sent you a WeTransfer of the pics - you should get the email any time now. Anyone who wants them by WhatsApp or similar ask lowrez! Thanks re. the run. The ribs were really starting to get quite uncomfortable, so it was sensible to stop once I'd reached the marathon. Mead, hm, that's a good idea. I have some of that in the dresser... Maybe warmed, Polish style. Becca, well done at the Valentine's 30K. Was anyone at Bramley 20 yesterday? I cruised past a young lady in a yellow top with a comrade badge flat bang in the middle of her back. Now 10 years since my last one. Don't call it a comeback(it isnt) but I ran 23 yesterday with 10 @6.40 pace working as a pacemaker. My first 20 since Jan 2012 which was the last time I qualified for Comrades. 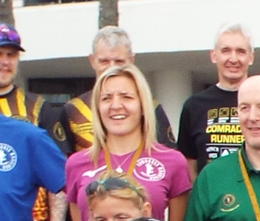 Yes, friend of mine was running Bramley yesterday and got talking to a Comrades runner - own up, who was it! 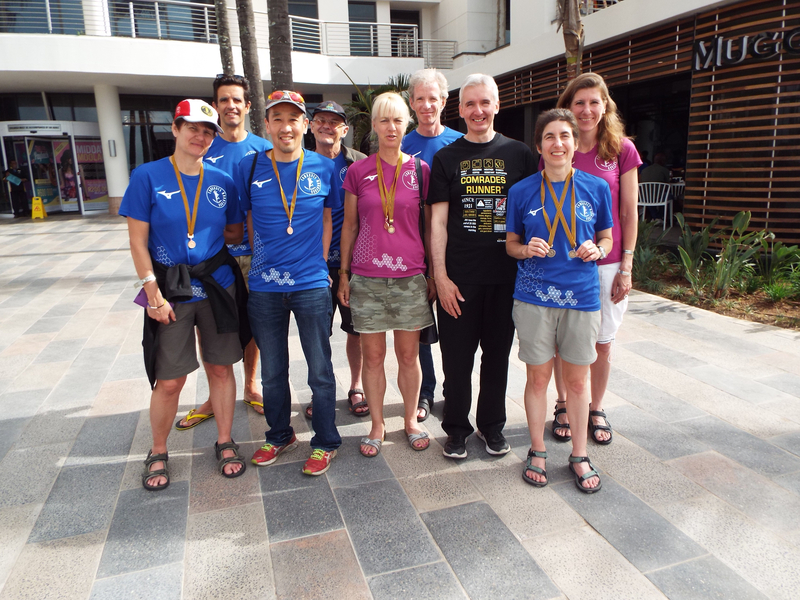 Well done to all of you who put in some great performances over the weekend. Next weekend looks like a cracker weather-wise so hopefully we all make the most of it. Lowrez, in an attempt to boost my enthusiasm and get hyped for this years race I was watching a couple of YouTube videos from last years race and I'm pretty sure I saw you finishing in one of them. Do you want me to post the link, or have you already scoured YouTube and seen yourself on it? I shall multitask while watching the football. There was only one video, it's a guy's story of the race and his wife driving around to second him. Won't be long. Hi RR, it was me chatting with you friend yesterday, she used you’re real name when asking if I knew you, so it took a moment to click! I also saw Mr K out supporting on the course, another friend from Comrades running, and several people who I have no idea who they are commenting on the Comrades hat. One of the great things about Comrades is how if you wear a Comrades cap or T shirt at any event afterwards, you can be almost certain that you’ll meet another Comrades runner and exchange some friendly chat!